A certified nursing assistant (CNA) provides bedside care to patients and can perform housekeeping duties if needed. Since the role is an entry-level position, nursing assistants frequently work under the guidance of a head nurse. Aspiring CNAs can apply to institutions like Francis Tuttle Technology Center in Oklahoma City. The city’s CNAs earn a median annual salary of $22,200. A licensed practical nurse, or LPN, also works under the supervision of a senior nurse. However, LPNs are delegated more responsibilities than CNAs, including measuring vital signs, dressing wounds, and monitoring medical equipment. 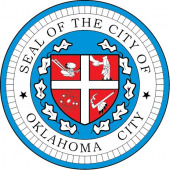 Platt College and Metro Technology Center offer excellent LPN programs in Oklahoma City. Graduates can look forward to a local median income of $38,250 upon entering the workforce. Major employers like Oklahoma Heart Hospital and the Department of Veterans Affairs are frequently hiring newly minted LPNs. Registered nurses (RNs) are senior nursing professionals responsible for evaluating the progress of a patient. With graduate study, they can choose to focus in specialized nursing fields like nurse anesthesia and nurse midwifery. Oklahoma City’s RNs enjoy an attractive median annual salary of $58,580. Local universities such as University of Oklahoma and Oklahoma City University offer excellent bachelor’s degree RN programs. Successful graduates can seek employment with major providers like Passport Health Oklahoma or via staffing agencies like Medical Staffing Network. To help Oklahoma City’s future nurses evaluate their education options, we’ve profiled below all of the accredited nursing schools and programs in the metropolitan area.